XPerience Management- Allows creators to select products to sell that are associated to the content. 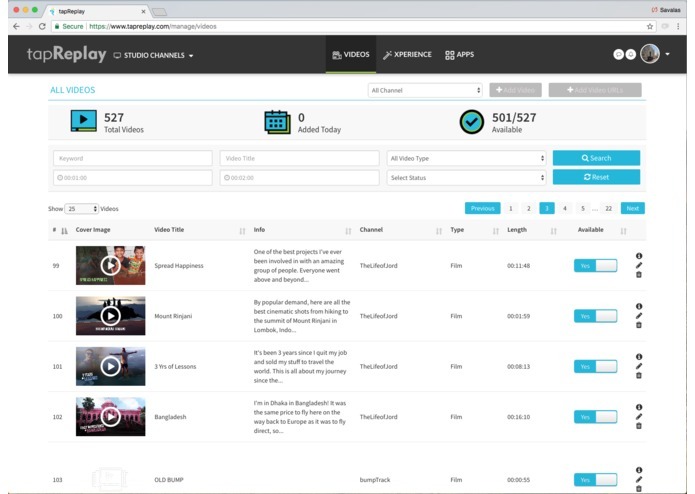 Video Management- Allows creators to upload and mange the videos for their channel. Channel Request- Allows filmmakers to provide details for their new channel for the AppleTV, Roku and AmazonFireStick. 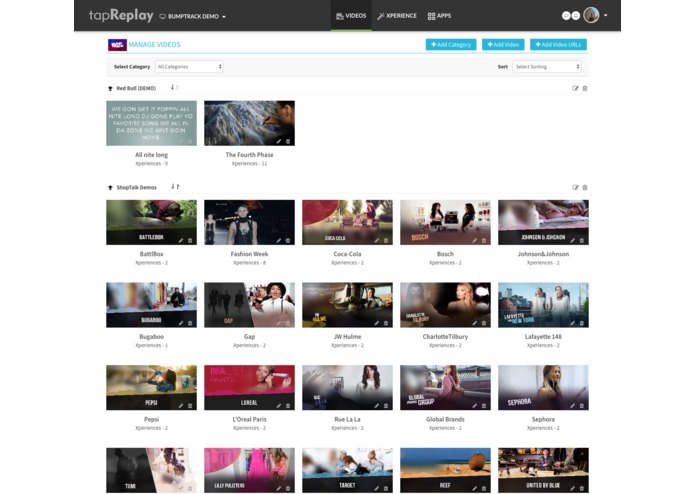 Admin- Allows tapReplay to manage, review and associate videos with products. 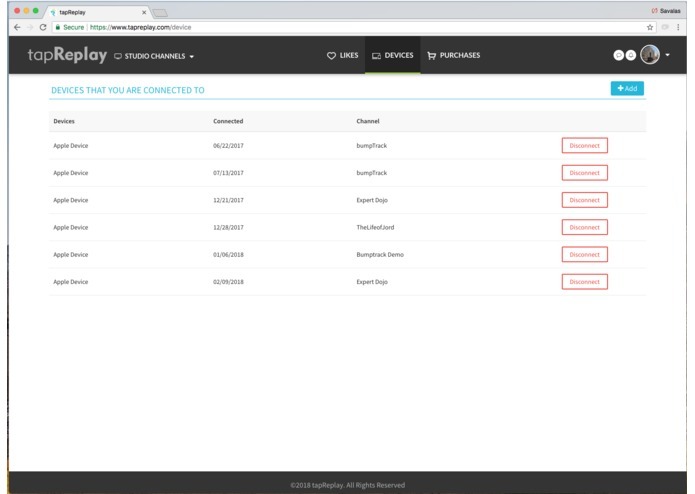 Device Management- Allow tapReplay members to easily associate and remove devices for their accounts. 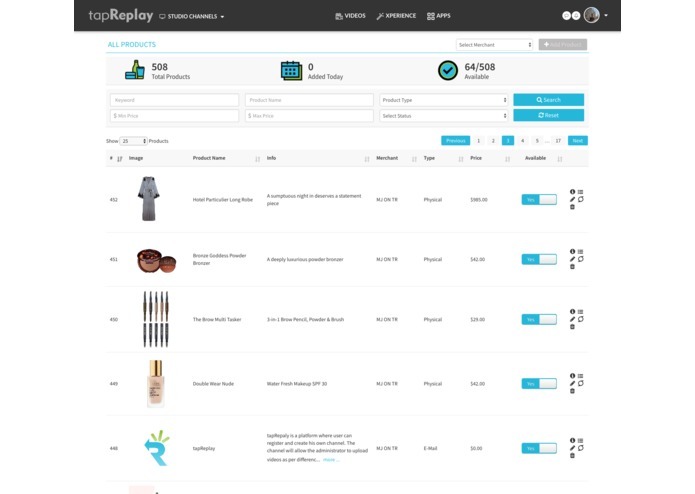 Purchased Tab- Allows tapReplay users to see the products that they have purchased and allows them to re-purchase those products. On TV- Purchasing Experience- Allows users to seamlessly purchase the products they want. tapReplay was conceived out of a need for the television to be a more interactive entertainment experience. With the engaging capabilities of laptops and mobile phone, people now expect more out of the devices in their lives. We saw one of the greatest entertainment inventions, the living room television, being left behind in the dust. With both of the co-founders having over 15 years of entertainment experience and over 20 years of technology experience, we asked ourselves: Why can’t you seamlessly buy the products and music you see in your favorite shows from your TV? Our inspiration is rooted in helping content creators, big and small, fully enhance the TV entertainment experience! 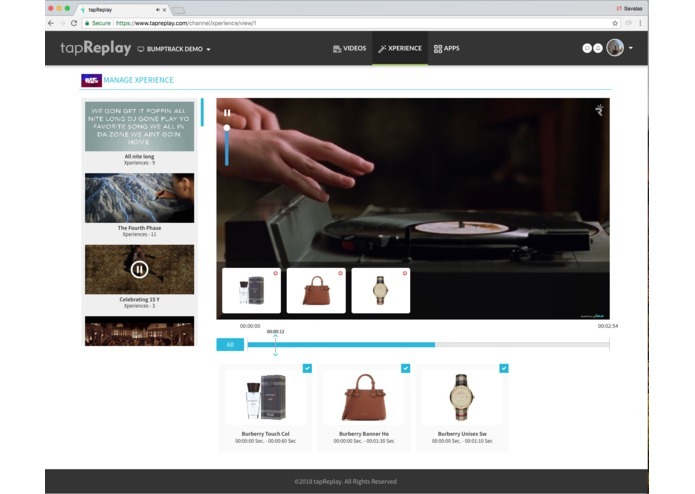 tapReplay enhances your viewing experience on smart TV by being able to interact and buy the products you love with just two taps of the remote. Viewers can now be immersed in content rather than just being a bystander watching content. 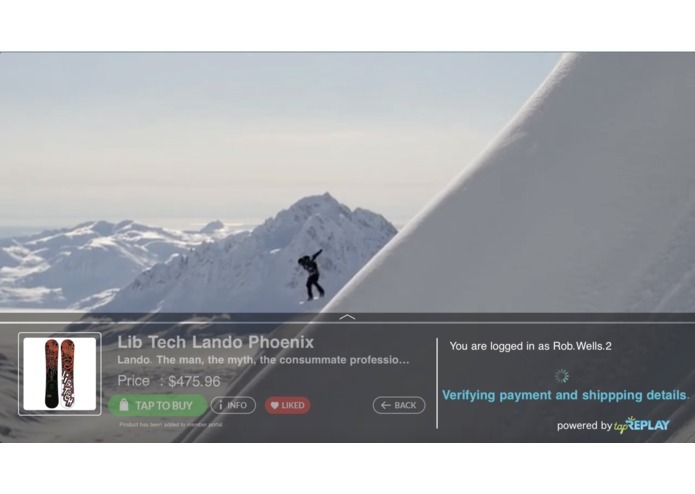 Content Creators can now build and monetize their own channel for smart TVs. The tapReplay platform, TV Apps and SDK were built from the ground up on our own framework. 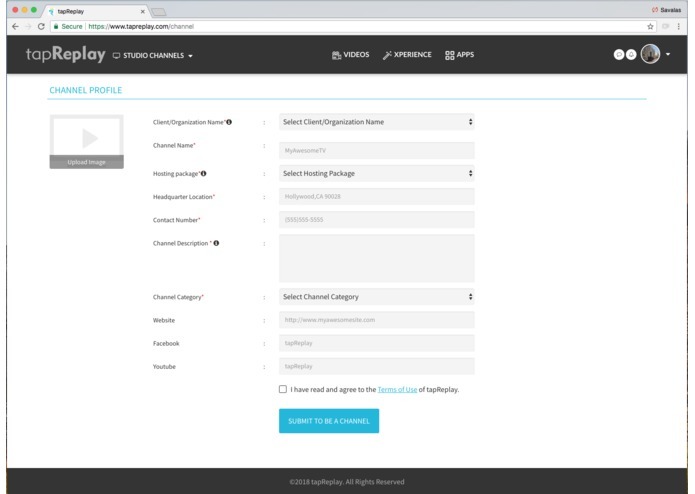 We leveraged technologies such as PHP-Zend Framework (PHP) and HLS (Http Live Streaming) to build a SAAS product that allows creators and filmmakers to upload video content. We improve the product by hiring UX/UI team members. On the app side, we built the tvOS app from the ground-up with our own APIs that connect to our server. We eventually wrapped those APIs into libraries that we are offering as Cocoapod SDKs at https://github.com/tapReplay. Smart TV technology is relatively new, thus we had to build code, UI/UX concepts and processes from scratch. Now that the product is built we can say this challenge has made our product more efficient and user-friendly. 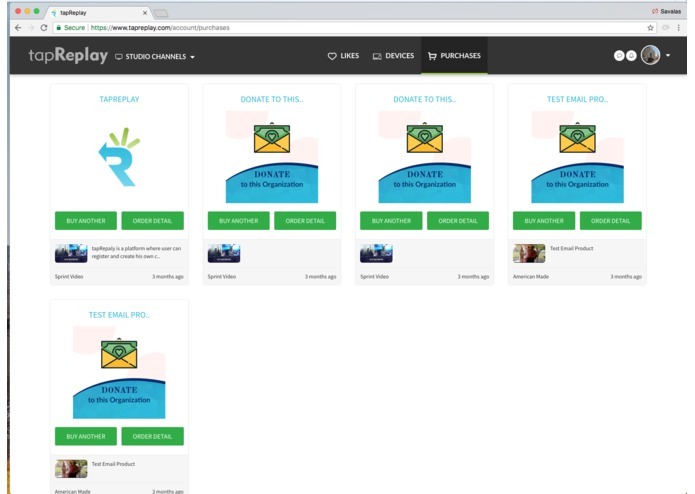 We have built the first of it's kind commerce platform for transacting over SmartTV content. We have already had 20 content creators come onboard our platform to generate revenue and enhance their content. We are also in conversations with every big box retailer. There is a gap in the market place. As TVs become smarter and more capable, people want more from the TV viewing experience. Also, many retailers that are thinking of omni channel solutions have discounted the power of Smart TV’s In their market strategy. We have a solid product market fit. We will keep working to improve the UI/UX of the product. We will increase the amount of content creators that are on the platform generating revenue. Now that we’ve built the technology we will focus on driving engagement and adoption. 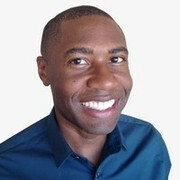 Messiah is forging a path between commerce and entertainment as the CEO and Co-Founder of tapReplay, a next-gen video commerce platform.